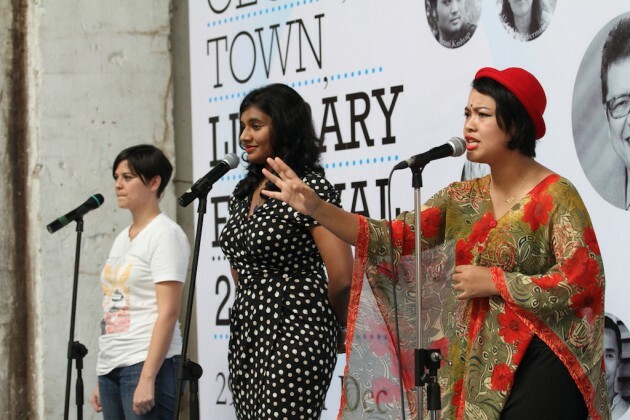 Spoken word performances at George Town Literary Festival 2013. The complexities of the Malay tale and the duel between Hang Tuah and Hang Jebat was challenged by political activist and philosopher Kassim Ahmad more than half a century ago. But the conversation didn’t stop there. Kassim Ahmad will present his argument for reinterpreting the myth and the men. You can also catch Kassim Ahmad in conversation with Ahmad Fuad Rahmat on Sunday 30 November. How much of a text can you salvage through translation? Haruki Murakami’s latest novel, Colorless Tsukuru Tazaki and His Years of Pilgramage was written in Japanese, translated to English, then translated to BM. This session sees a multi-lingual reading in all three languages, followed by a Q&A of the nuanced process of translating fiction between languages. 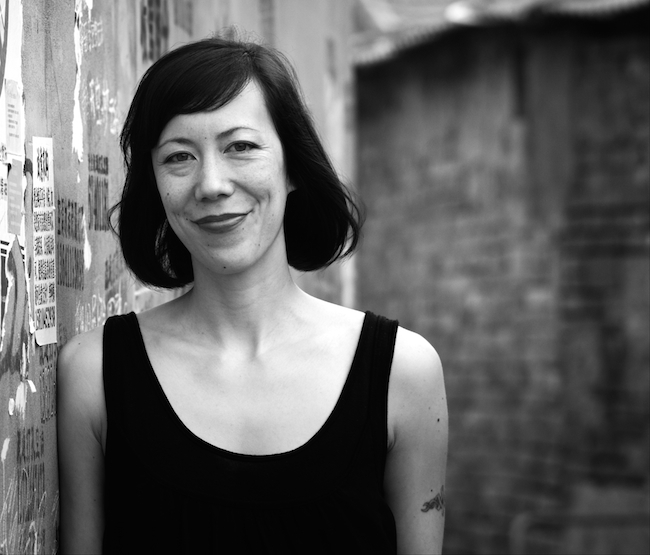 British writer Susan Barker’s third novel The Incarnations is centred around a taxi driver set in modern Beijing, but interjected with stories of China’s deep history and cultural shifts. This lectures will explore the novel’s premise and historical elements; it will be followed by a Q&A session with Bernice Chauly. Barker’s previous novels are Sayonara Bar (2005) and The Orientalist and the Ghost (2008). 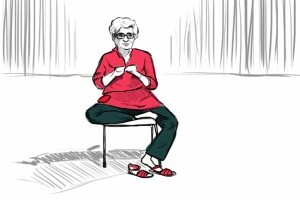 There’s also the chance to learn about creating characters from Susan Barker in a writing workshop. A cabaret with local flavour, CAMPUR-CAMPUR will have performances and stories told through music, spoken word, dance, comedy and more. Say It Like You Mean It (SILYMI) is a space for people to come together to create, inspire and entertain, and CAMPUR-CAMPUR will bring together talent from around Malaysia for this variety show. Nothing gets a geek’s heart racing like a good quiz night. This quiz night will be a tour de force from Austen to Zola. The evening will also feature a spoken word performance from US-based poet Caits, as well as music from Amanda Imani. 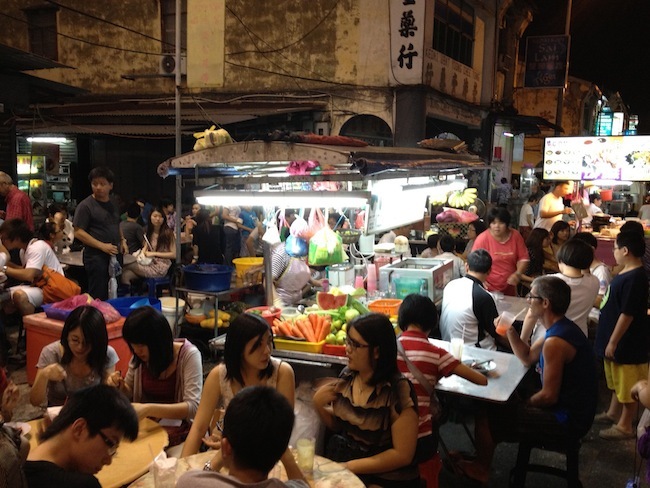 Chulia Street hawkers draw a crowd in George Town. It’s practically impossible to be in Penang and not pay homage to the food – pick up one of the festival food maps, have a taste of Penang’s famous street food and listen in on the discussion of three food writers as they talk about the joys of eating and writing about food. Panelists include Penang food bloggers CK Lam and Ken Tho, as well as travel writer and food writer John Krich. The graphic novel can tell many different stories – it’s not just a form for superheroes. Listen in on this panel discussion as graphic novelists talk about the art of putting words and pictures together. 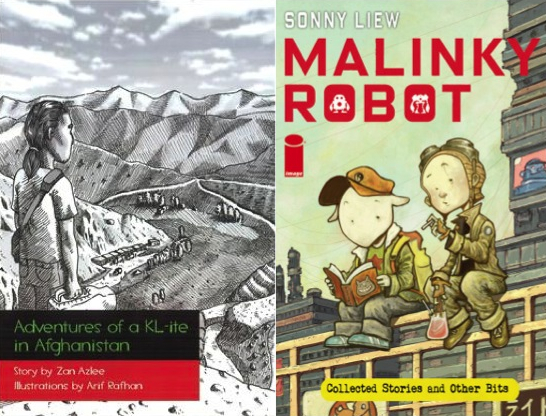 The panelists include Sonny Liew, a Singaporean graphic novelist and illustrator, as well as Zan Azlee and Arif Rahman Othman, who recently published a graphic novel based on travels through Afghanistan. A literary pioneer and poet whose work often plays on identity and ethnicity, Wong Phui Nam makes a rare appearance at George Town Literary Festival. He’ll discuss his writing and career with Umapagan Ampikaipakan in what’s sure to be a compelling conversation. How much is it a myth to be able to write for a living? And how much does the presence of money affect the creative process? Three writers speak about striking that balance of creating in a world where money is seemingly everything. The panelists include novelists Miguel Syjuco and Rozlan Mohd. Noor; with journalist Zan Azlee and BFM89.9’s Maya Tan Abdullah as moderator. 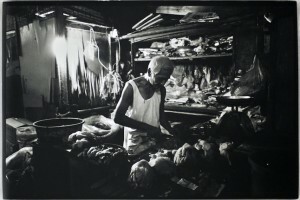 George Town is a city that’s grappling both with the past and the future. In this session, Penang Heritage Trust’s Khoo Salma moderates a session on how the past can haunt the present in fiction, and how writers address their own histories in putting pen to paper. The panelists are Malaysian writer Shivani Sivagurunathan, Said El Haji from the Netherlands and Susan Barker. Bestselling Malaysian publishing house Fixi is set to launch four new books at George Town Literary Festival, by authors Regina Ibrahim, Rozlan Mohd. Noor, Tunku Halim and Julya Oui. Meet the writers and get your copies signed first. All events excluding workshops are free. Find out more about George Town Literary Festival at www.georgetownlitfest.com and on the Facebook page.